It is no secret that our students are multifaceted. BASIS.ed students are Model U.N. winners, history bee competitors, inventors, entrepreneurs, Olympic Trial swimmers, chess champions, community activists, movie directors, and mathletes. A typical BASIS.ed student, fourth Grader Donovan M. has always been many things - a thoughtful friend, focused student, and very talented chef. His friends, family and teachers have always known about Donovan's incredible love of cooking. Now the whole country will get the chance to see Donovan flex his culinary muscles as as he competes in MasterChef Junior Season 5 (FOX) starting Thursday, February 9, 2017. We took a moment to ask Donovan and his dad Scott about the experience and Donovan's love of cooking. Has Donovan always been interested in cooking? Scott: Yes, he’s been interested in cooking since he was 3 years old. He started out watching us cook at home, and he immediately wanted to get more involved. Living in Brooklyn we are surrounded by amazing restaurants from all over the world, and we’ve made an effort to expose Donovan and his siblings to as much delicious food and flavors as possible. For the past year or so Donovan has done the bulk of the cooking at our home, making dinner for the whole family at least 3 or 4 times a week. This year he even cooked Thanksgiving dinner for 20 people (of course with a few sous chefs helping out and quite a large clean up crew)! Does cooking run in the family? Are either of you chefs? Scott: Sadly no, but what we lack in culinary prowess, we make up for with frequent, adventurous eating trips. And now, over to the chef himself. Donovan: I've always been really interested in cooking Asian food, exploring unique flavor profiles and experimenting with exotic ingredients. I love the feeling of discovering something really new and unique, like a rare spice or difficult to find seasonal fruit or vegetable. Since the show ended, I've been really focused on developing my pastry and cake decorating skills. What are your favorite subjects at BASIS Independent Brooklyn? Any favorite stories about school that you think would be fun to share? 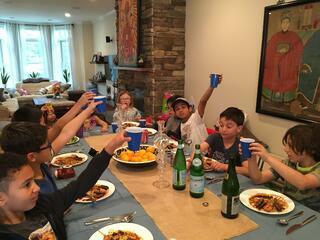 Scott: Donovan says the school lunch is surprisingly good, and loves hanging out with his buddies at lunch time. Anything else that you would want to add, particularly with your experience as a family with BASIS Independent Brooklyn? Scott: We’ve been at BASIS Independent Brooklyn since it first opened, and each new year has been better than the last. While Donovan and his older brother Oliver have quite different interests, both love attending BASIS Independent and being part of the school community. 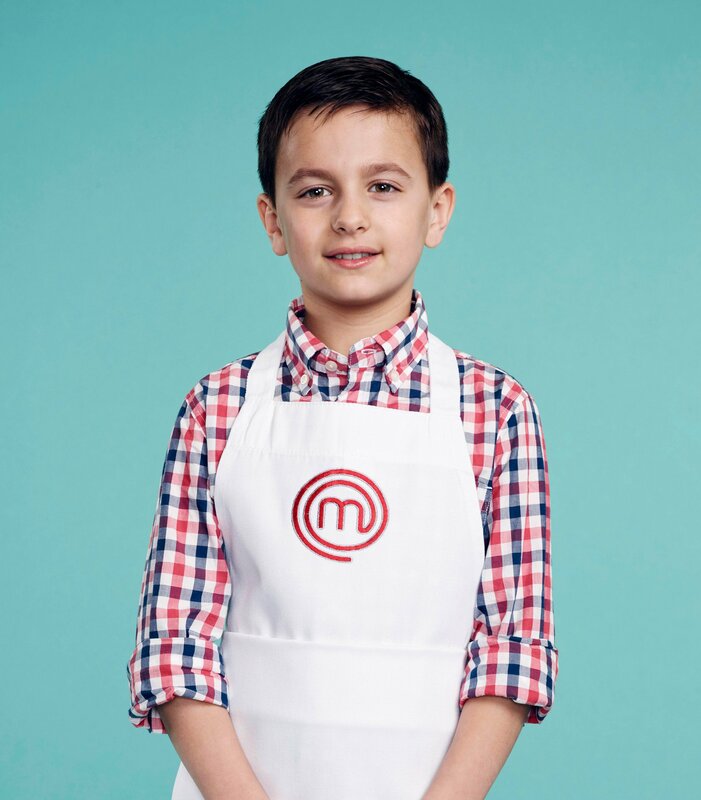 MasterChef Junior premieres its fifth season on FOX on Feb.9 at 8 p.m. ET. Entertainment Weekly recently featured an overview of all the contestants, including Donovan. He also has an Instagram account @juniorchefdonovan.